Remember, your financial information is at risk all the time. Fraudsters will always come up of new intricate ways to trick you from giving credit card details. Here are some advices to protect yourself from scammers. Shred any receipts or papers with a credit card details on it. Fraudsters can be dumpster divers, which mean, they can use tossed rubbishes to obtain financial information from you. For this reason, it is best to shred receipts and bank statements before dumping them in the trash. Do not use the same PIN code on all your cards and avoid using personal information such as your birthdate in your PIN code. If you are going to withdraw, cover up your PIN number when typing and be wary of your surroundings. It is also not advisable to write your PIN number on a piece of paper. Passwords must be protected on a high level. If you use the same password on all your accounts, it is time to change it. Change the password on all your accounts and cards as it makes it easy for a fraudster to access all your accounts if all of them have the same passcodes. Moreover, do not save your passwords on your computer and as much as possible, set a security pin on your mobile phone and computers to avoid unauthorized people from accessing sensitive information inside your device. Do not let your guard down especially when you are in a public place or in an internet shop doing online banking. And if you are talking to your bank, do it in a secure and private place where no one can hear any banking details about your transaction. One of the scam tricks fraudsters do is by trying to lure you using phone calls. They may pretend that they are from the bank and asking you to provide banking details. If this happens, don’t be afraid to ask questions and verify their identity first before providing any important information. To protect your computer from malicious software and spyware, install anti-virus software and make sure to keep it running and updated especially when you are online. Beware of suspicious emails. Fraudsters use electronic mailing to trick their victims into giving financial details. They usually pretend to be from your bank and will request that you confirm your banking details. If an incident like this happens, don’t provide information and don’t click any suspicious links in the email as it may contain malware that can steal data from your computer. Remember that a bank will never send an email to threaten you or will request any financial details of you. Do not trust websites easily especially if you are making online transactions. Do not give away personal and financial details unless that site is reputable. We all should be thankful on this Thanksgiving Day that one of the worst scams to hit the Lehigh Valley, and the nation, finally is on its way to being cooked. 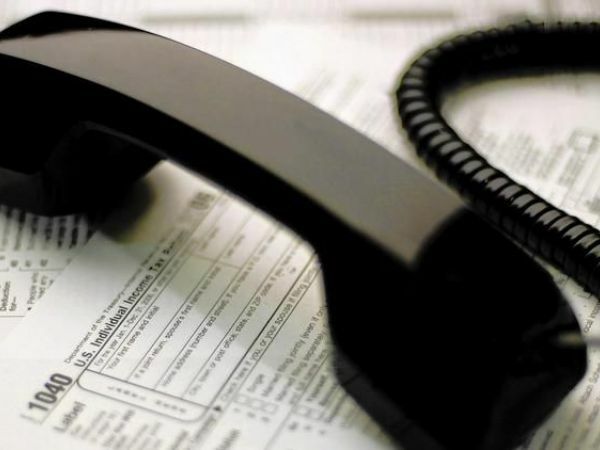 Complaints about the IRS phone scam have dropped significantly in the past month or so. After three years, international detective work and technological advances finally have carved deeply into these turkeys’ business. The scheme isn’t completely stuffed away yet, so remain vigilant. But it’s certainly not as prevalent as it was. The relentless calls started in fall 2013. Con artists pose as IRS and U.S. Treasury agents and threaten people with a lawsuit, arrest or grand jury investigation unless they immediately pay supposed tax debts. The debts aren’t real but the callers bully people into paying over the phone, usually with prepaid debit cards and iTunes cards. More than 9,600 people, including some locally, have lost a combined $50 million. A California man lost $136,000 when he was exploited repeatedly over 20 days, according to the U.S. Attorney General’s Office. I heard from hundreds of people who got the calls. Some were scared. Others were confused about whether the calls were legitimate. Many knew they were fraudulent and wanted to know how to stop them or where to report the scoundrels. Nearly 2 million complaints about the scam have been reported to the Inspector General for Tax Administration. It’s also the top scam complaint to the Better Business Bureau. But it’s been a month or more since I’ve heard any complaints. Reports to the inspector general and the BBB are way down. That’s because some of the people accused of making the calls have been locked up. Early last month, authorities in India raided a call center and charged 70 people with fraud. On Oct. 27, U.S. authorities announced that 56 others had been indicted; some of them in the states, along with five call centers in India. “We are encouraged that our investigation, which resulted in the announced law enforcement action in late October, has had a significant impact on this criminal activity,” inspector general’s spokeswoman Karen Kraushaar told me. At the peak of the scam, more than 30,000 calls were reported to the inspector general in a single week. That was down to about 1,000 in one recent week. People still are being ripped off, though, and the inspector general recently learned of 40 people who lost money, Kraushaar said. “It is extremely important that people remain vigilant and remember to hang up on callers who claim to be IRS or Treasury employees and make threatening calls demanding immediate payment,” she said. In about the past month, the Better Business Bureau’s Scam Tracker website has received 91 reports of tax fraud, compared to 489 the previous month. While those figures include all types of tax scams, the vast majority are IRS scam calls. “We are pleased with the drop and are looking forward to the day when we aren’t getting any IRS tax scams reported,” said Kelsey Owen, communications and public affairs director for the Better Business Bureau office that covers eastern Pennsylvania. There are variations of these scam calls. Sometimes the callers are men. Sometimes they are women. Some calls are live while others at least start as robocalls. Callers often instruct victims not to tell anyone about what’s going on and to remain on their cellphone while they are buying the prepaid cards to pay their supposed debt. The callers try to sound official, sometimes offering badge numbers and case numbers. But their foreign accents often give them away. In addition to the arrests, technology also played a role in reducing the number of calls getting through. As I reported in a recent column, a new technique being developed by phone and technology companies to block illegal robocalls stopped a substantial number of these scam calls during a test. While this is all good news, I fear the fraud could catch a second wind. Schemes as profitable as this often morph into new ones. The Better Business Bureau also warned of that. The IRS phone scam already was evolving prior to the raid in India. John Miller of Bethlehem Township told me he got several calls in late September from the “Office of Taxation” that followed the same script. “I guess they gathered that everybody has figured out the IRS game so now they’re trying a different name,” Miller told me. If you get an IRS scam call, you can report it to the Treasury Inspector General for Tax Administration (800-366-4484, www.tigta.gov) or the BBB Scam Tracker (www.bbb.org/scamtracker/us). Protect yourself against scams by reading my previous Watchdog columns at www.mcall.com/watchdog. If you are targeted with a new scam, let me know and I’ll warn others. The Watchdog is published Thursdays and Sundays. Contact me at watchdog@mcall.com, 610-841-2364 or The Morning Call, 101 N. Sixth St., Allentown, PA, 18101. I’m on Twitter @mcwatchdog and Facebook at Morning Call Watchdog.